I sat down with Porter Friday at OMGPOP’s New York office and asked him about how he pulled off the immense success of Draw Something, which has racked up 30 million downloads on iOS and Android in about five weeks. The app has generated about 2 billion drawings and is still being played daily by more than half of its users, who are exchanging pictures at a rate of 2,000 to 3,000 a second. And Draw Something, which is adding more than 1 million users a day, is pulling in low six figures in revenue a day, Porter said, mostly from upgrades but also in-app purchases and advertising. The game invites users to draw one of three items which their friend can guess. If the friend guesses right, the drawer earns gold coins. Then they switch places. The game doesn’t keep traditional score but it does keep track of a sequence of correct guesses. In fact, the game was originally titled Streaks when it was being designed. 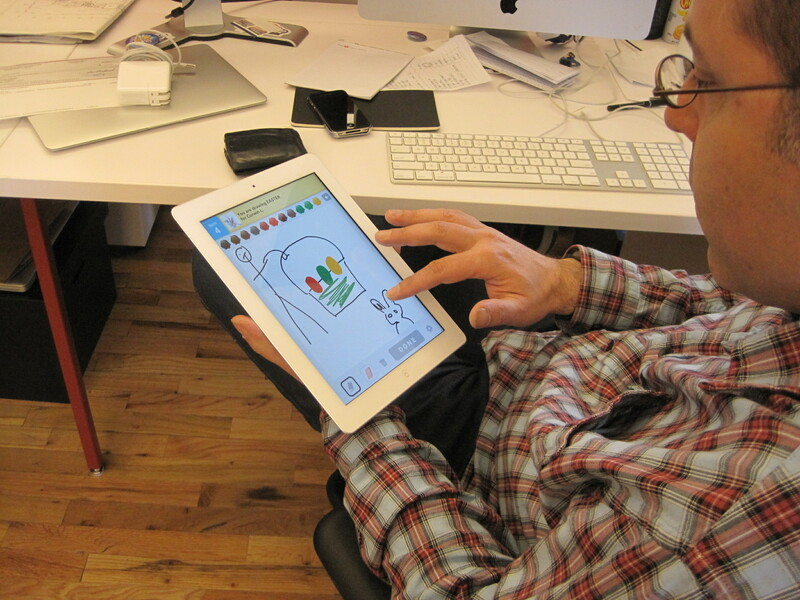 Draw Something is the first game that Porter has ever designed. And it’s not actually inspired by Pictionary: he says he’s never played the game. Perhaps it goes deeper than that. Porter said he attended Friend Central school, run by the Quakers in Pennsylvania, who de-emphasize competition. Or perhaps it’s because this was Porter’s first stab at designing a game after presiding over OMGPOP for the last three years. Since he wasn’t a game designer, he saw a simple way around the big challenge of creating a 1 vs 1 game in which a player was somehow dependent on their adversary to score. The temptation would be for a player to be less helpful or shut out their opponent in order to stay ahead in points. Porter got around the problem by just doing away with points altogether, something that may not have been as obvious to traditional game makers. Porter thinks the game is a hit because it exploits the ability of touch screen devices to accurately portray drawing. He said a lot of games are designed around tapping but there’s still a big opportunity to find new ways to use gesture-input technology on smartphones and tablets. And of course, an awful lot of people like drawing. Some artists on Draw Something get incredibly detailed and paint backgrounds or fill in pictures with elaborate textures and colors. But Porter’s creations are stick figures and that works just fine in the app. One of the joys when taking a turn as a guesser is seeing the painting of a picture replayed and figuring it out as it unfolds. And the original drawer gets the thrill of seeing how long it takes their friend to guess their picture. Thankfully, all of this isn’t dependent on being a great artist. That’s one of the things that can be discouraging about turn-based games like Words with Friends. If you keep losing to better wordsmiths, the excitement can fade. But Draw Something’s decision to minimize competition in favor of communal achievement is what has helped it become a mainstream hit, appealing to mobile users who don’t typically download games, Porter said. The inevitable comparison to Zynga (s znga) comes up. Zynga, which recently went public, has the third most downloaded app in Word with Friends, which it got through its acquisition of Newtoy. Porter won’t say if OMGPOP, which has taken $17 million in funding since starting in 2006, is capable of taking down Zynga. But he likes the path the company’s on now, after building a lot of resource-style games for Facebook that kept getting beat by Zynga’s versions. 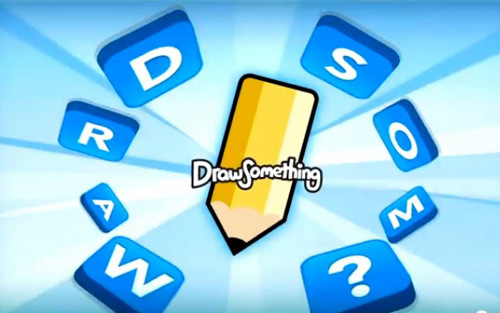 The game maker has built more than 30 titles including its most recent game Puppy World but none have been a break-out hit like Draw Something. 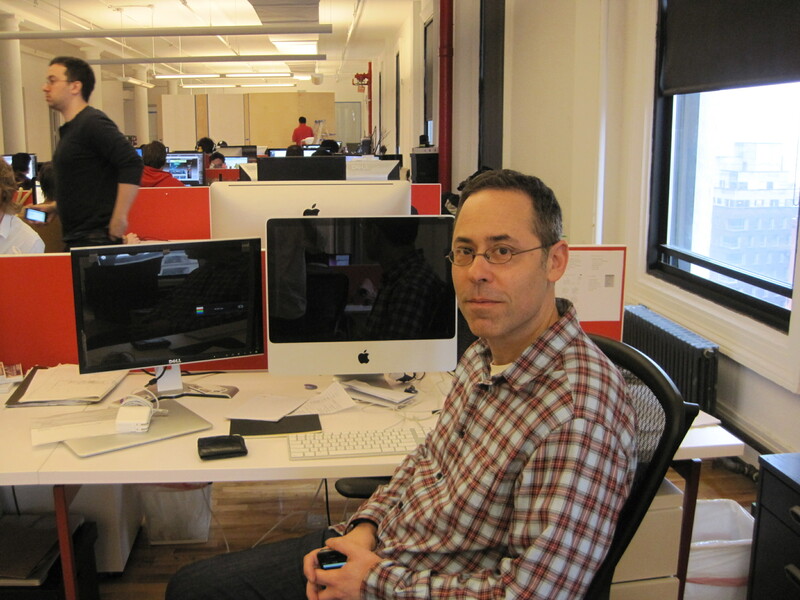 After toiling away in Zynga’s shadow, it was time for OMGPOP to try something different. “We thought if we’re not going to be as successful as Zynga, let’s do some out-there (stuff). If people don’t like it, at least we can say we didn’t do a bad job of copying other people’s games,” Porter said. Now, the question is about what OMGPOP has in mind for an encore. In the short term, the company plans more updates for Draw Something including chat functions and the ability to store and share pictures. There may be more traditional game elements added as well. The bigger question is how to build off the bigger momentum of Draw Something. Porter said he’s been approached by a bunch of game show producers about taking the game to TV. He’s still debating that, trying to figure out if he can make a game that’s a true lean-forward experience in the living room that can also combine TV viewing with interactivity through a mobile device. He’s also deciding where to go next with future games. Porter said the company has got four or five ideas on tap but the question is whether to pursue more Draw Something versions–like what Angry Birds has done–or build other unique games that draw on the same cooperative mechanic. It’s all still up in the air as the 42-person company devotes most of its resources toward keeping the Draw Something express chugging along. And that’s fine for Porter, who’s enjoying a wild ride. This is easily my favourite game. so addictive. Can you have more than one account on draw something? can you share the drawings?? Do the people that actually came up with pictionary get any royalties? Dan Porter did an awesome job big congratulations. 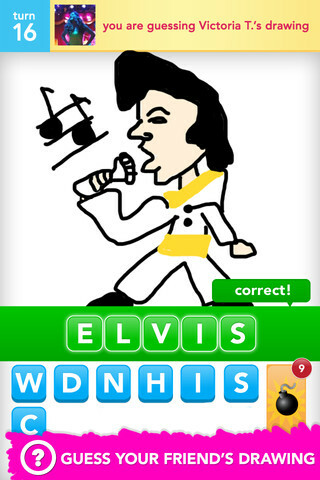 Also fun to see other sites like http://www.drawsomethingcheats.com that utilize that sucess. The App economy is growing so quickly its awesome to see as a developer. Over the past few weeks, Draw Something has become massive, with over 30,000,000 downloads on iOS and Android. GigaOm’s interview with the CEO of OMGPOP, Dan Porter, explains how it all happened. download from apple app store or google play store(Android). how do i download draw something? u need to go to app store then look it up under the search thing and it will pop up and it is FREE!!!!!! Hats off to OMGPOP for creating a fun, engaging, and beautifully-designed game. Well done! Love this game, totally addicted to it and have gotten many friends to play it. Streaks don’t go above “99” (unless you look at the stats page). Need to tap twice to get to the drawing and guessing screens, tapping once should sufficient. Include an integrated chat (who cares if people use it for “cheating”?) — mostly I want to chat after the guessing part.